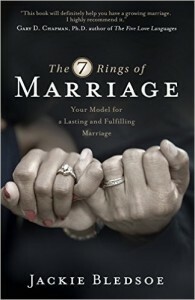 The Seven Rings of Marriage is a new book by a new author. Jackie Bledsoe has a sincere passion to share what he’s learning in his marriage to encourage others in their marriages. His fervency is the strength of this book. I greatly appreciate the high value that Jackie puts on marriage. This treasuring of marriage reflects the heart of God, and it is something we jettison to our own loss. Jackie excels in speaking directly to other husbands. His style is that of a friend who is urging his buddies on and sharing advice from his own life. 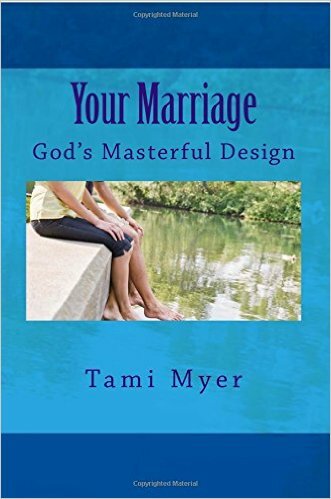 With an earnest voice, he maintains an unwavering focus on strengthening marriages. Stop saying yes to everybody else. Get desperate about date nights. Talk, talk, and talk some more. Choose a time but be flexible. Pray alone before praying together. Thank God and praise Him for your spouse. Use Scripture for your prayers. Write a prayer and read it. “Do you really want to love your wife and prosper in your marriage? The solution is simple. Do what Jesus did. “Jesus loved His bride. … He gave up what was most important for Him when it conflicted with what was best for her, the church. Jesus made the ultimate sacrifice, His life. His life was important, probably more important than anything we are holding on to. The Bible shows us the conflicting emotions He had while praying in the garden of Gethsemane. He didn’t want to suffer, but He knew doing so would be the greatest blessing for His bride. While the writing in The Seven Rings of Marriage could be improved, Jackie Bledsoe’s passion to strengthen marriages is faultless. Kudos to Jackie Bledsoe for being a great champion of marriages! And may God bless YOU for being a champion in your marriage!